Full ISAF Rules, Manual Penalties - NPC, ISAF Rule 17.1 Must be cancelled upon request, ISAF Rule 14 "Avoid Contact" is in effect. Penalty Hunting & Starboard barging are strictly forbidden, Mast Hits = 360 Penalty, 360 Penalty Spins are to be conducted clear of the fleet at all times. "Racing Room" must be given at all times, competitors are asked to allow "Racing Room" for land and at the marker bouys. Repeated asking for penalties to be cancelled may result in being kicked from the server. Competitors are warned that any infringement of the rules may result in Disqualification or Ban from the tournament server. 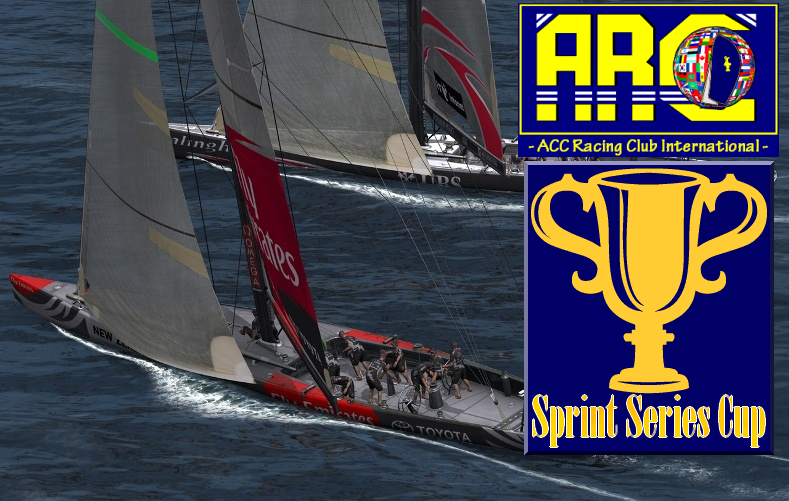 This is to inform everyone that we will be hosting an ACC Sprint Series to be held during the ACCEES off season, which will be from 10th October - 21st October 2012. During this period I will host a series of sprint races, with the courses between 2-3 NMI in length. Round 1 - Australia - October 10th to October 12th 2012 - 6 Races Daily. Round 2 - United States - October 13th to October 15th 2012 - 6 Races Daily. Round 3 - Canada - October 16th to October 18th 2012 - 6 Races Daily. Round 4 - Spain - October 19th to October 21st 2012 6 Races Daily. The champion for each event will be posted to this sites front page. Please be advised that this series is purely for race positions and times for this series will not be recorded.